The bulk of ammonia in the body is generated in the gastrointestinal system by action of bacterial enzymes on the contents of the colon and from hydrolysis of glutamine. It is removed in the liver and converted to urea through a series of enzymatic reactions in the Krebs-Henseleit cycle. Among other conditions, advanced liver disease and hepatic encephalopathy result in elevated levels of ammonia in blood. Hyperammonaemia is also common in inherited deficiencies of the enzymes involved in the conversion of ammonia to urea. The determination of ammonia is very useful in the diagnosis and prognosis of Reye’s Syndrome. Elevated blood ammonia exerts toxic effects on the central nervous system. Ammonia reacts with alpha-ketoglutarate and reduced cofactor to form L-glutamate and the cofactor. The reaction is catalyzed by glutamate dehydrogenase. The decrease in absorbance due to the oxidation of the reduced cofactor is monitored at 340 nm and is proportional to the ammonia concentration. 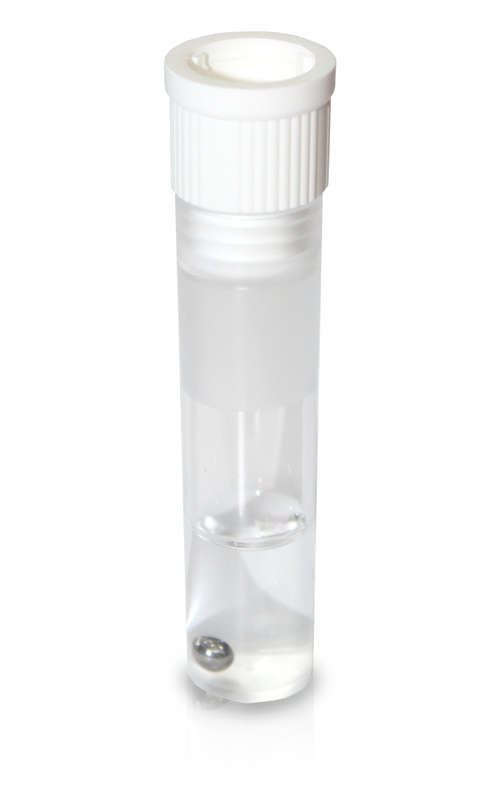 The accuracy of ammonia determination is extremely dependent on sample collection. Use only fresh EDTA plasma (ammonia heparin plasma or serum must not be used). After drawing the blood immediately centrifuge the collection tube to get plasma. The plasma sample has to be analysed within 5 minutes on the instrument. Test takes approx. 8.5 minutes.